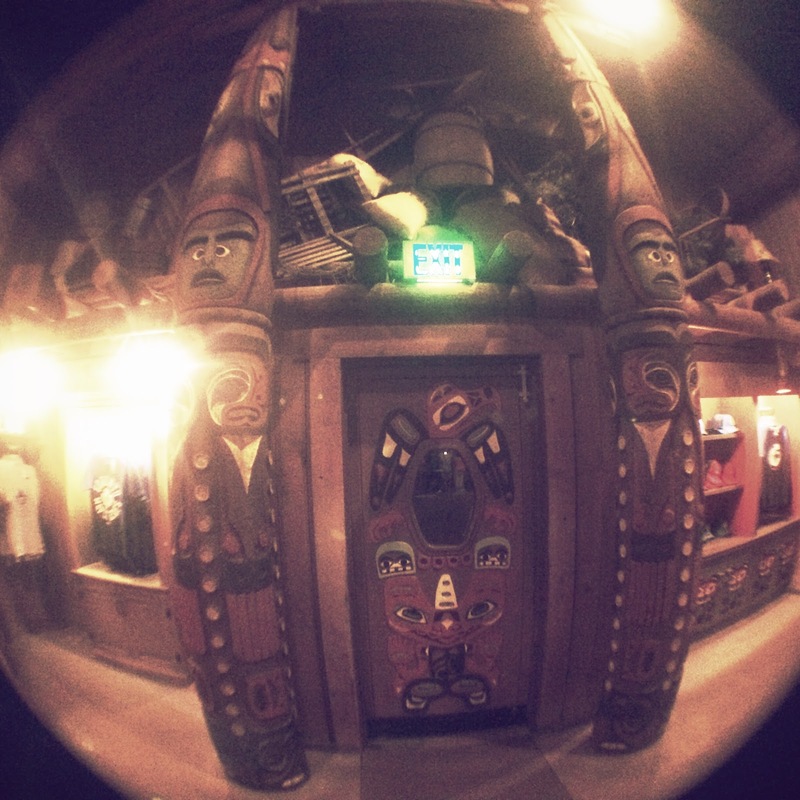 Disney Hipster Blog: Some Cool Theming In "The Canada Store"
Some Cool Theming In "The Canada Store"
After a long evening of touring World Showcase Adam and I ventured into unexplored (recently anyway…) territory. We had a mission this particular evening to watch all four film based attractions around the lagoon. 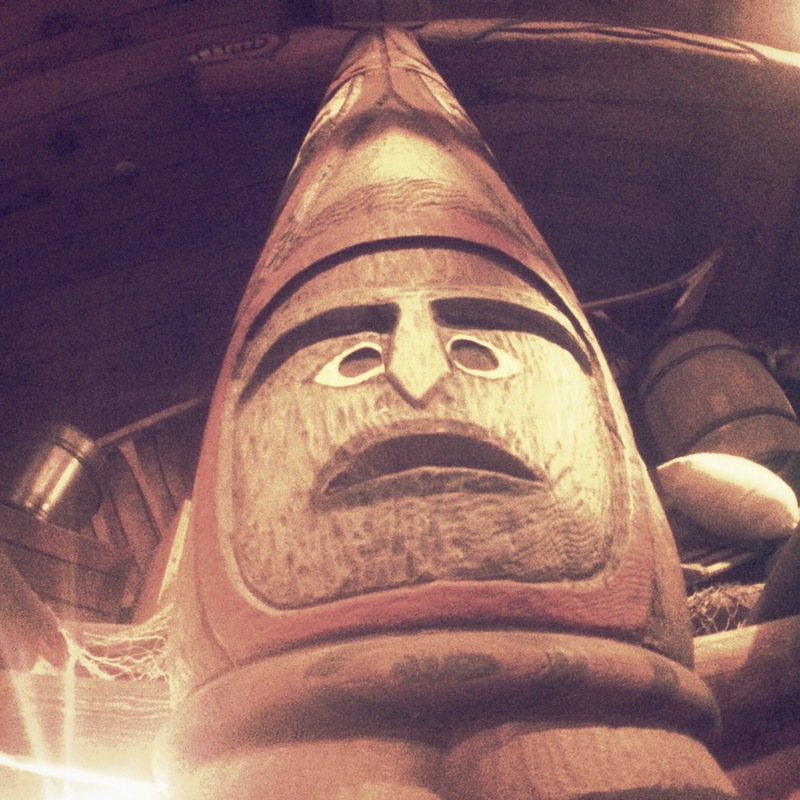 This simple objective led us to spending much more time in the Canada pavilion than we normally care to. It's not that we don't like this pavilion, but in the grand scheme of Epcot, this is just not our favorite area. The theming is fine, but feels too familiar. I would rather be spending time in Japan, Norway, or Morocco. 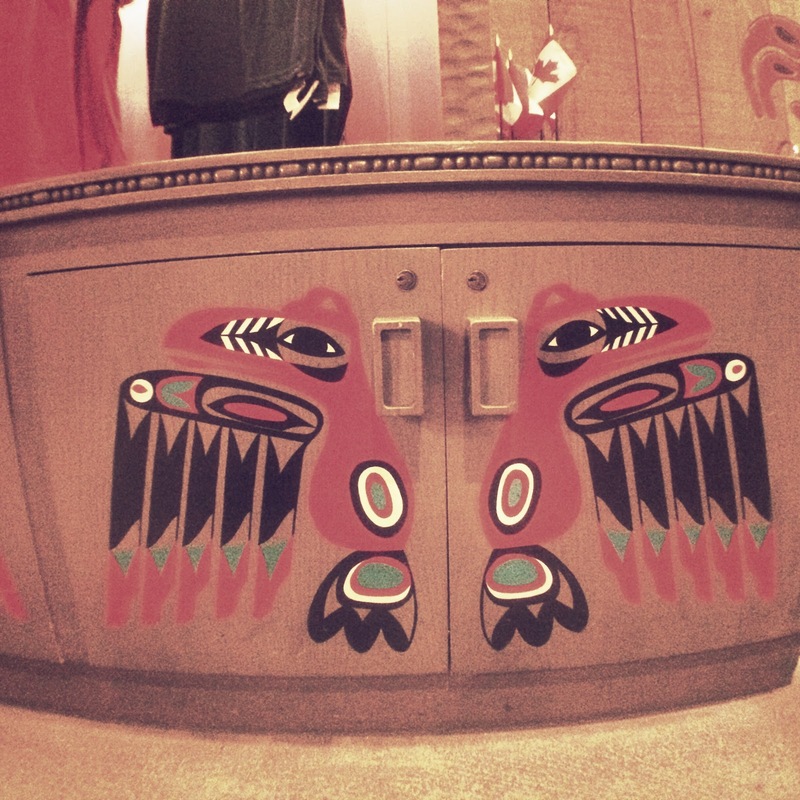 The native American motive is found in all corners of the shop, including the whimsical painting on the front register cabinet. The exposed rustic wood is a great choice, adding texture and authenticity to the otherwise boring store. 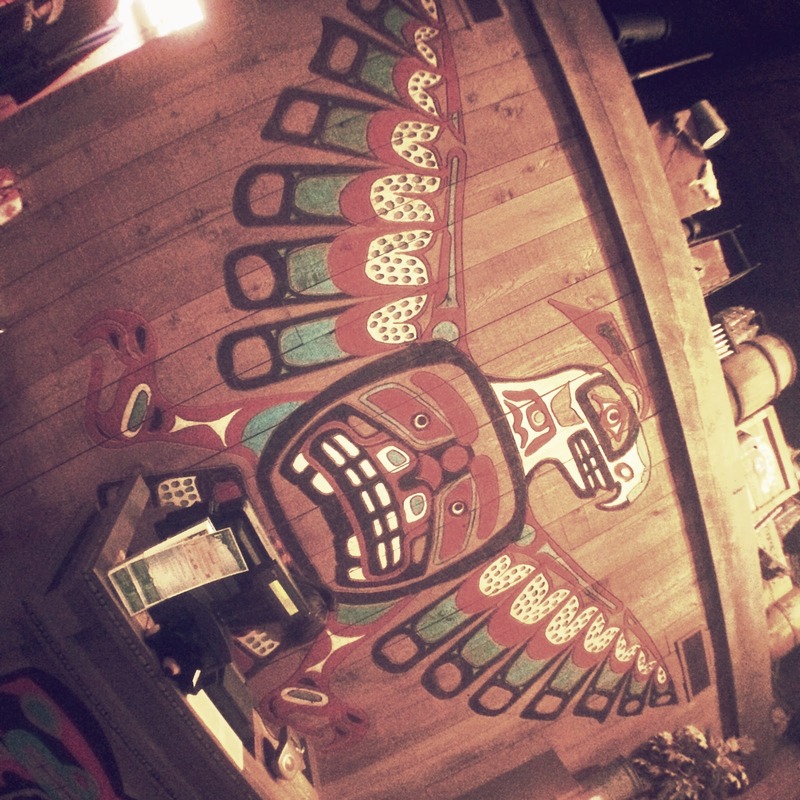 I LOVE the eagle behind the register! 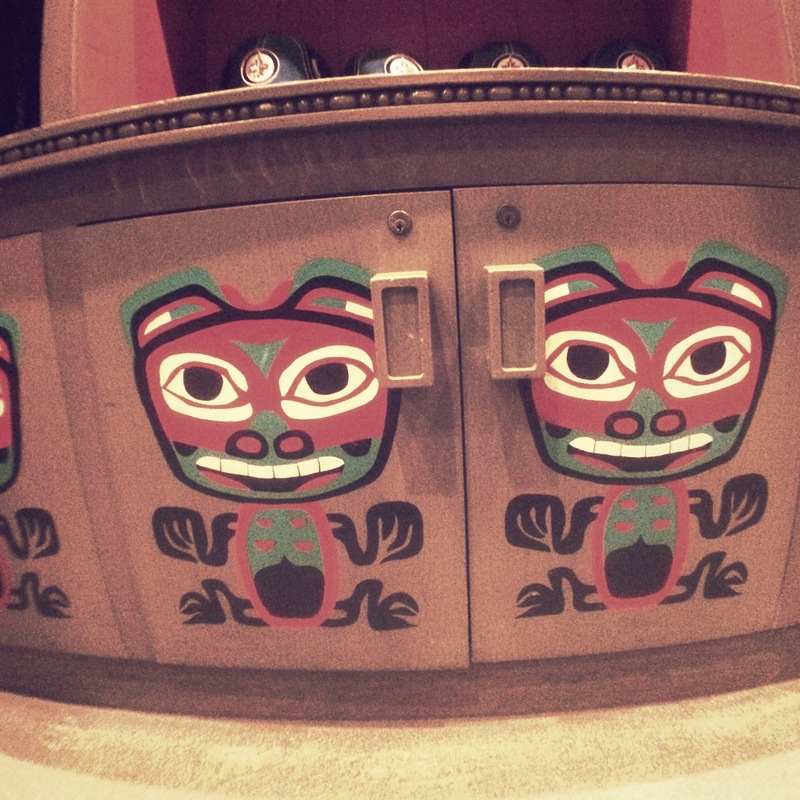 In addition to the beautiful painted details, the rooms are brought together by carved totems. These pieces bring an awesome sense of structure to the interior, and stretch all the way to the rafters. The design of this store could have easily been done wrong, but the images are pretty close to perfect, and I'm actually stunned that the color selection isn't offensive. So often Disney paints stencil type images such garish colors, but these are really wonderful. 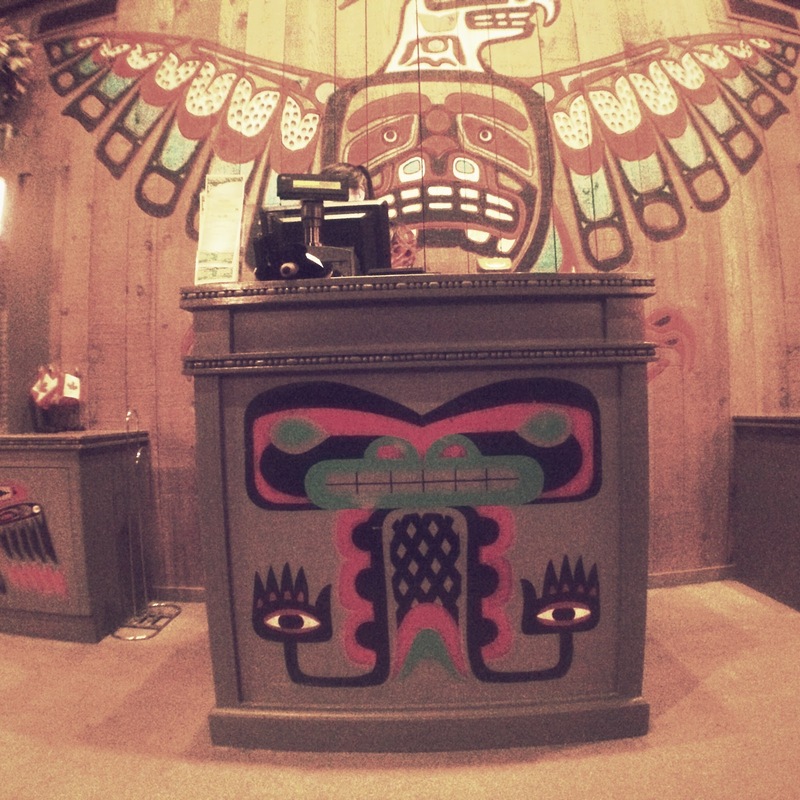 Between the totems, exposed rugged wood, subdued Native American imagery, and great soft lighting, this store is pretty stinking charming. I only wish that the merchandise was enough to lure people up here. But heck, there is always O Canada!